In recent years, homeowners have increasingly sought out professional grade cooking accessories and appliances to support their culinary aspirations. At the same time, they’ve shown a desire to enjoy high-touch, luxury experiences in the home, particularly the kitchen. Both these trends have converged with the launch of U-Line’s 5 Class Collection. 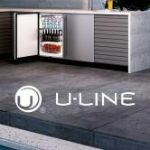 U-Line’s latest line of Refrigerators, Beverage Centers, and Wine Captain® Models combine commercial grade quality, along with a discerning attention to detail homeowners demand. 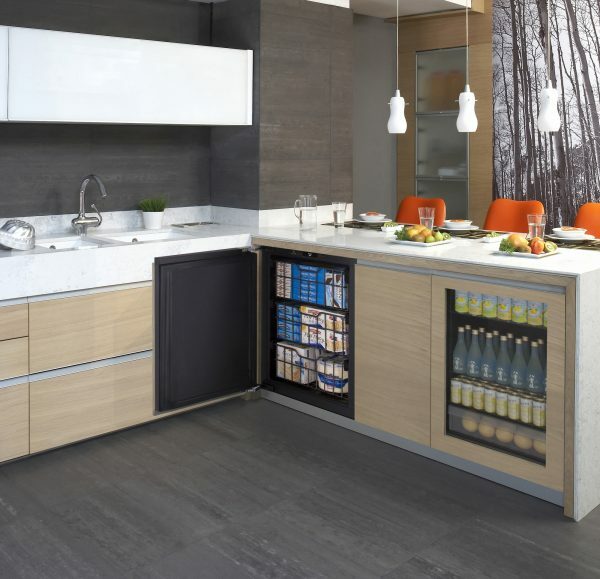 Featuring stainless steel both inside and out, a clean modern design, and soft close doors that shut with a reassuring whisper, this premium collection is designed to appeal to the cook, the host, and the luxury maven in you. Professional grade meets discerning luxury with U-Line’s 5 Class Collection. Whether entertaining, cooking, or simply relaxing, the 5 Class Collection brings together a bevy of features sure to delight and enhance your time at home. Slide & Secure™ Bins are designed to make it easy to access what you need effortlessly, while helping to prevent tips and spills. 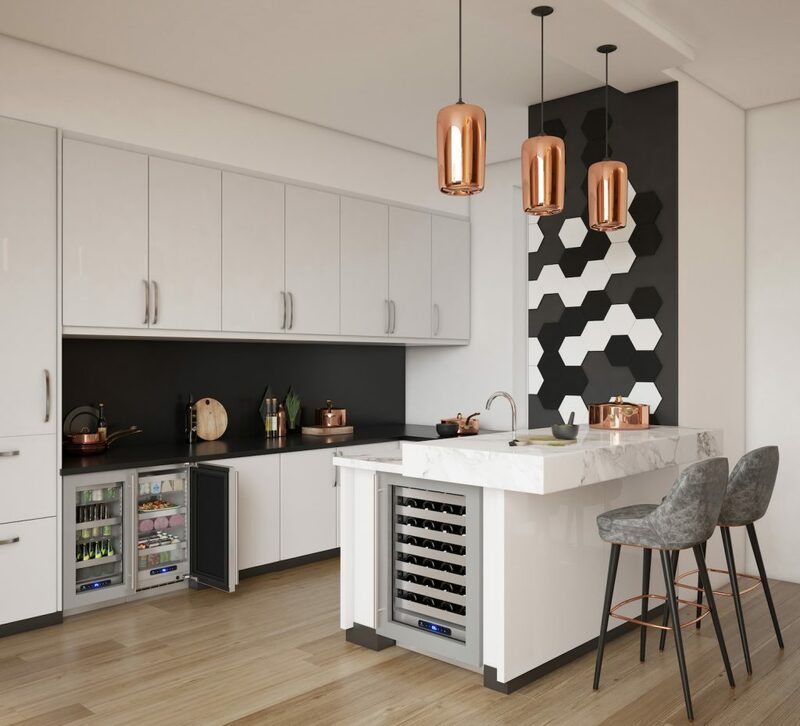 Each model also features a U-Adjust™ 19-point adjustable interior, allowing you to customize storage settings to your liking—now you can easily store magnum wine bottles and taller items. One of the most unique innovations across the 5 Class Collection is the industry exclusive, full depth lower interior (patent pending). 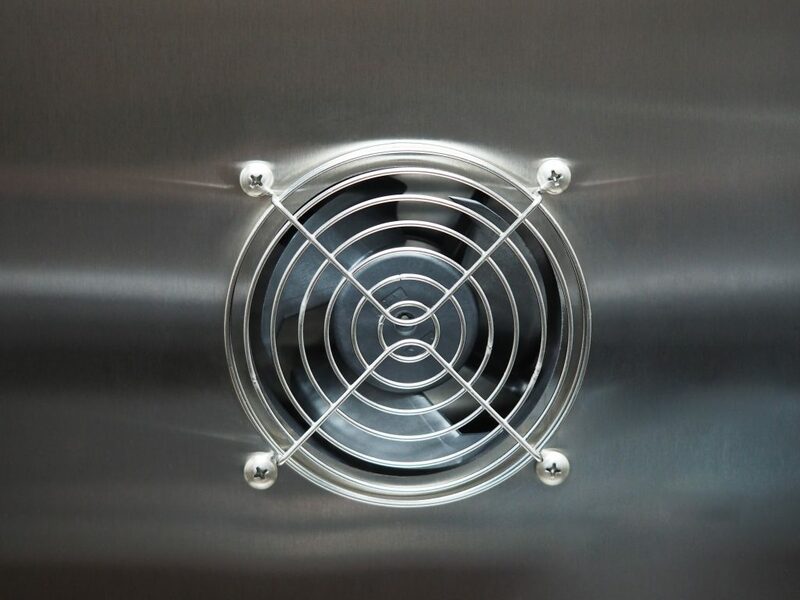 Utilizing a variable speed, low profile compressor, and a re-engineered base, enables U-Line to deliver a cavity free of the traditional “bump” or “step” in the bottom of the unit. 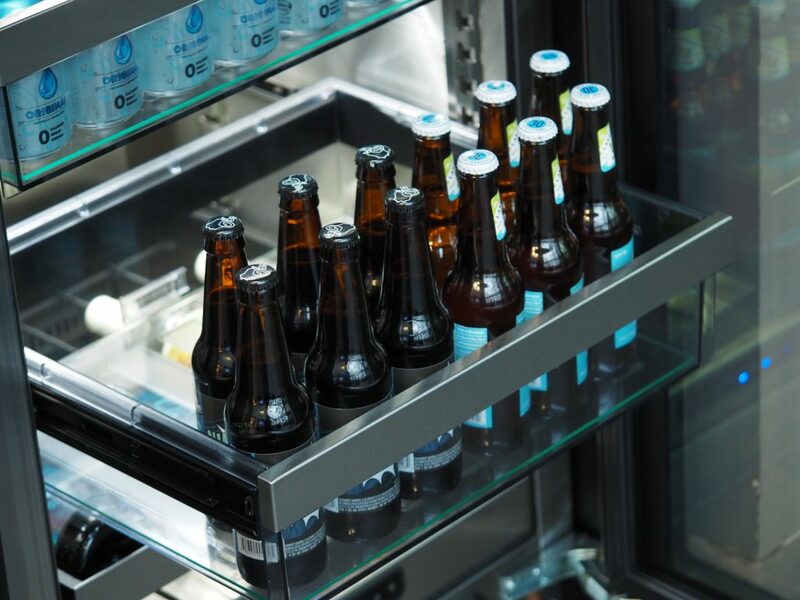 Homeowners can take advantage of the additional space and flexibility in their refrigerator. 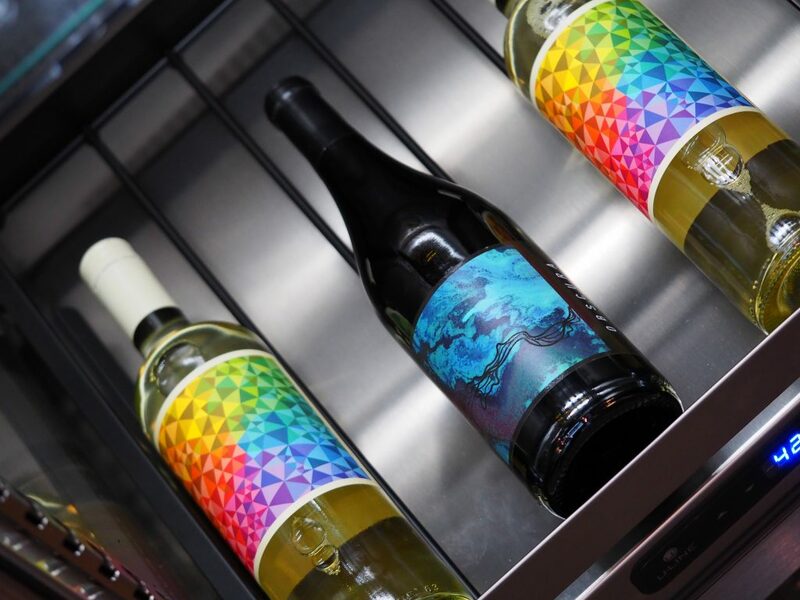 No longer limited to a partial wine rack or storage area, a full wine rack or a larger bin can be used anywhere inside your refrigerator. 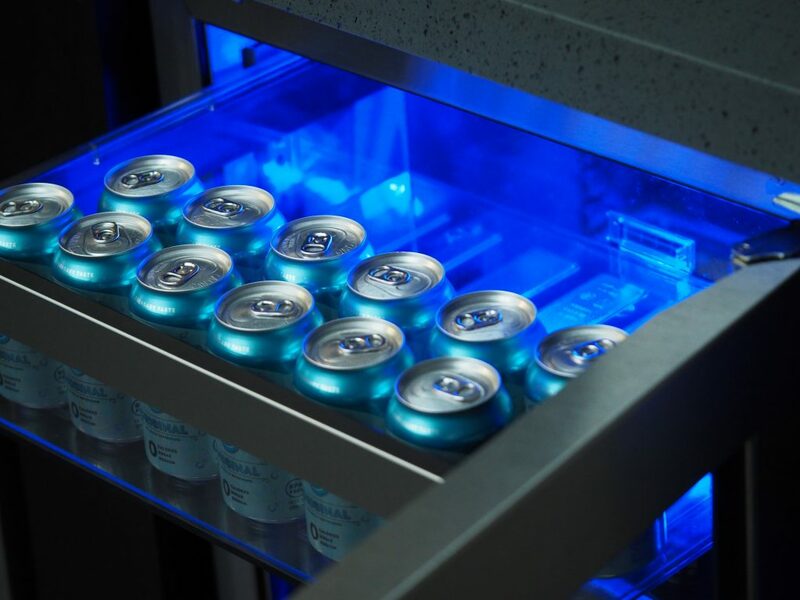 With stainless steel and integrated finish options, these products can be both used in built-in and freestanding applications. All products are available in 15″, 24″, and industry exclusive 18″ widths for limitless design possibilities. State-of-the-art compressor for power efficiency, and quiet operation. 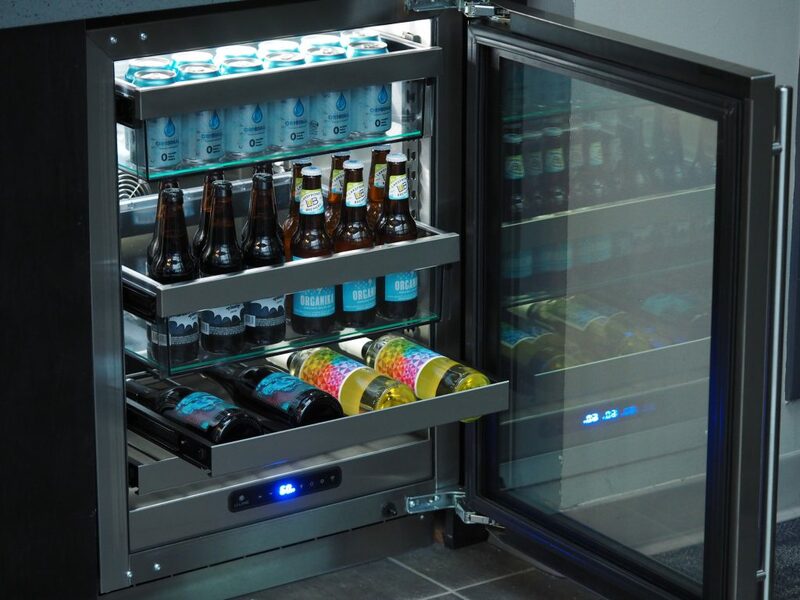 Industry exclusive design allows you to maximize storage space. 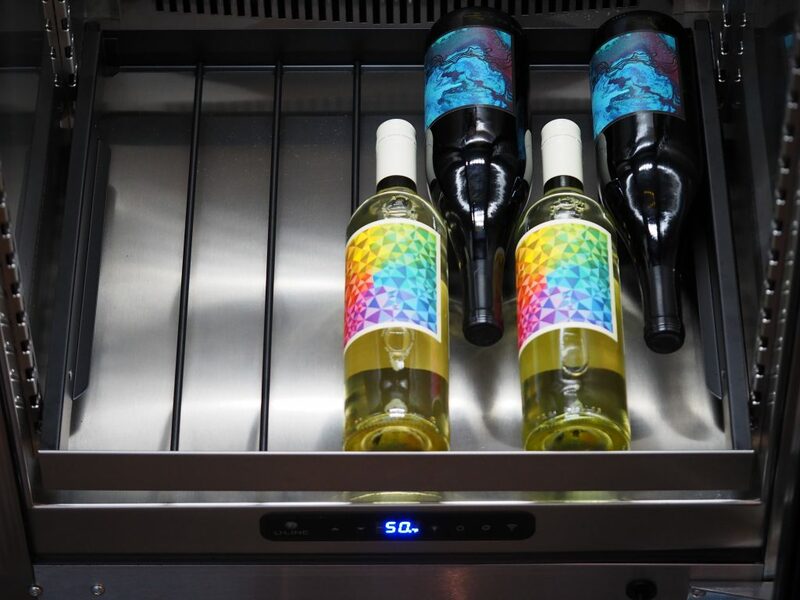 19 adjustment positions for full extension wine racks and Slide & Secure™ bins to contain and protect. Choose bright white, bold blue, or a combination of both. View the full 5 Class Collection on u-line.com. 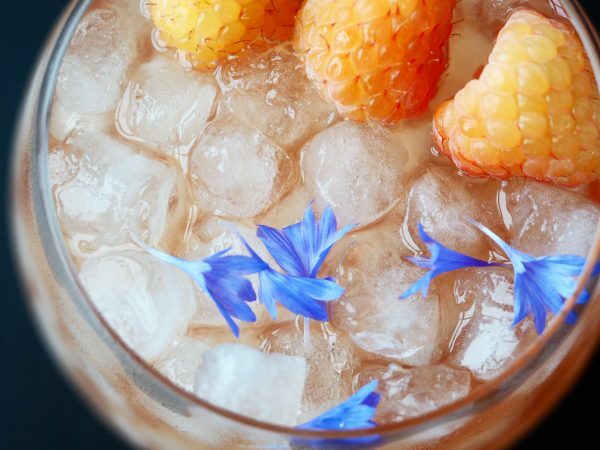 Looking for inspiration? Check out our lifestyle post for Kitchen Personalization Trends.